The Nvidia Shield Tablet’s simple design and high-end specs make it a true competitor in the crowded Android tablet market. 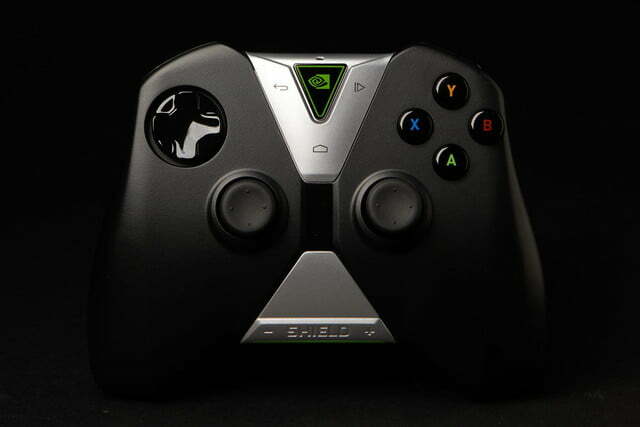 Back in 2013, Nvidia unveiled an amazing and truly strange hybrid gaming device called Shield. One year later, it took the more traditional route and made a tablet that doubles as a multimedia device and mini gaming console. This isn’t meant as a slight, however: The Nvidia Shield Tablet is a powerful and attractive tablet that packs an extra punch. 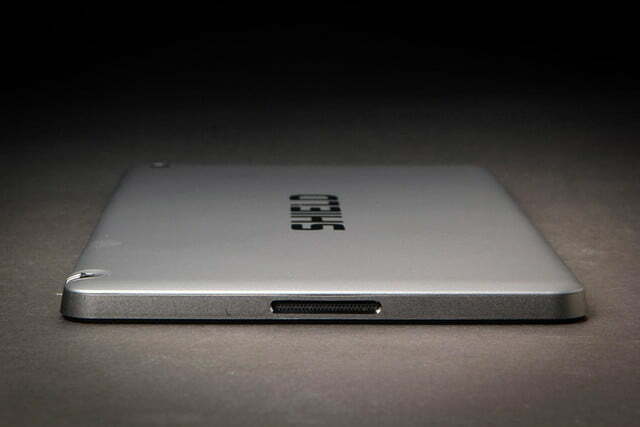 Its simple design and high-end specs make it a true competitor in the crowded Android tablet market. 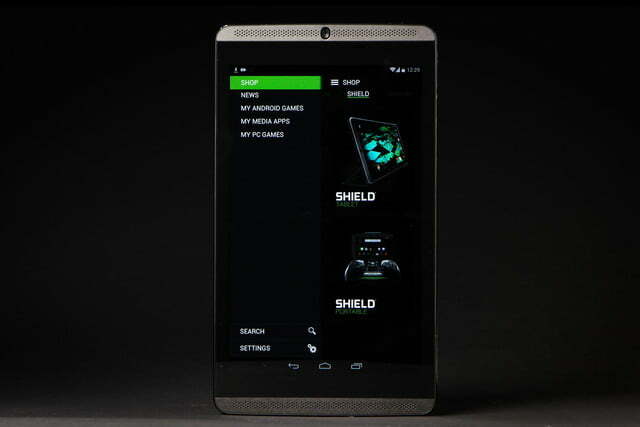 Nvidia’s Shield is one of the few high-end 8-inch tablets currently on the market, and it’s one of the only ones in that category running Android. 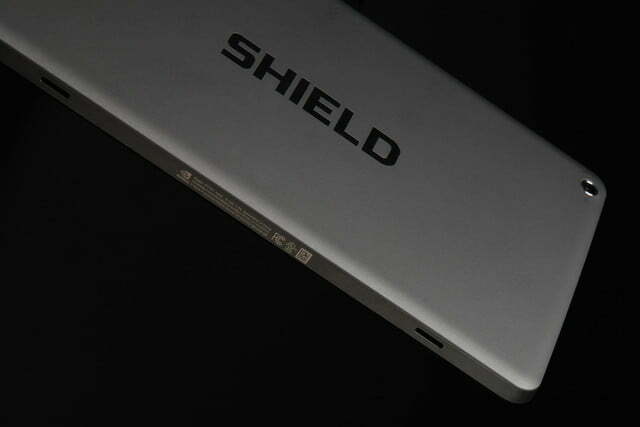 To top it all off, the Shield Tablet is designed with gamers in mind. The multimedia and gaming prowess is sure to pique gamers’ interest, but is the Shield good enough to tempt normal tablet users? Editor’s note and update 12-20-2014: DT’s gaming editor will soon add a full review of the Shield’s gaming capabilities, so stay tuned. 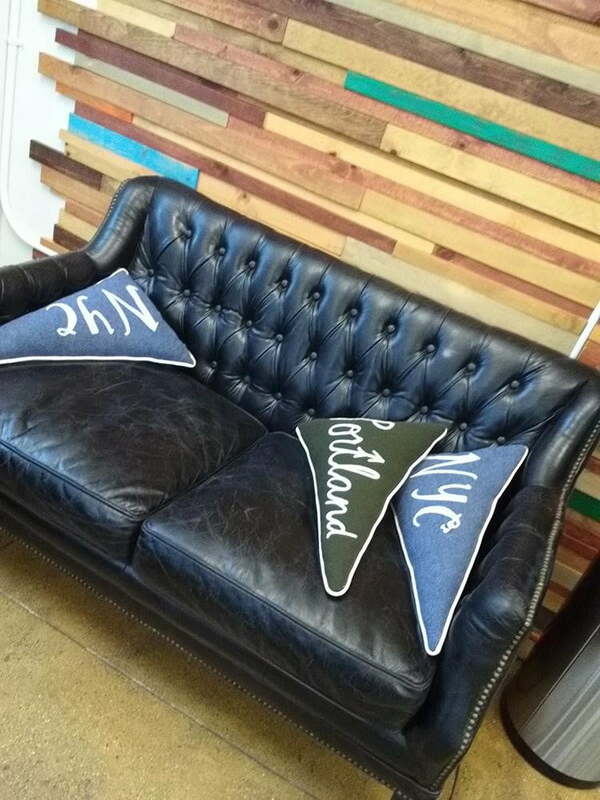 We also made a few corrections. Gaming PCs are rarely what you’d call small, so it’s no surprise that Nvidia’s gaming tablet is chunkier than most other leading tablets. Even so, it weighs just 388 grams and measures 9-millimeters thick, which isn’t much, even though it sounds huge in comparison with the absurdly thin 6.1-millimeter profile of Apple’s latest iPad Air. The Shield tablet feels much sturdier than the bendy Nexus 9, even though it’s also plastic and doesn’t even have the metal frame. 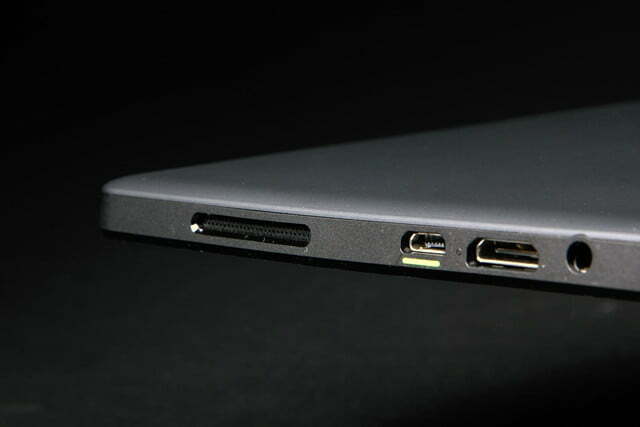 The extra thickness allowed Nvidia to pack in a few ports and vents around the edges that most devices don’t have, including a MicroSD card slot, SIM slot, headphone jack, mini HDMI output, and Micro USB. 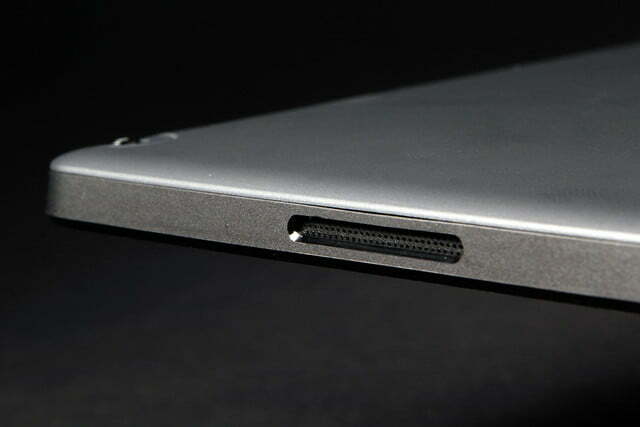 All the ports are a nifty addition to the tablet experience. 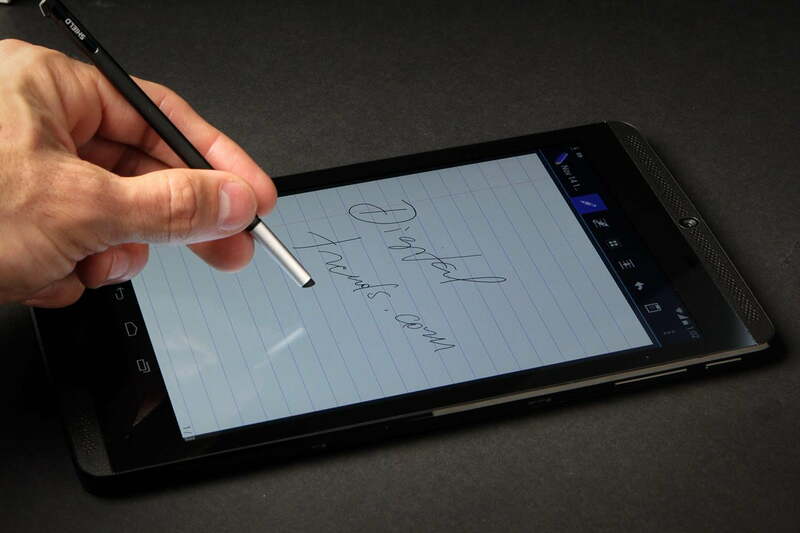 There’s also a stylus for those who like to draw and take notes. 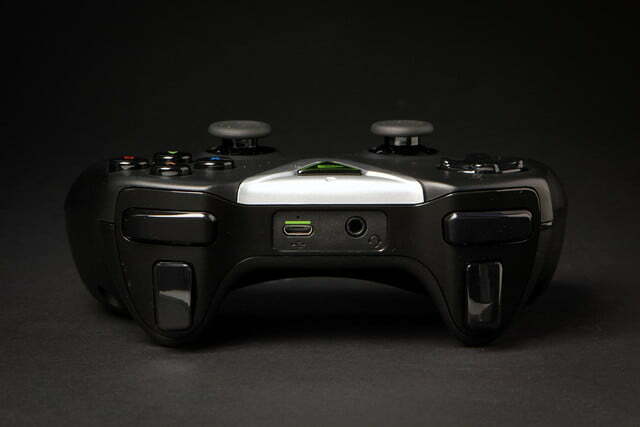 Make the most of your Shield tablet’s gaming prowess with this nifty Gamepad controller. 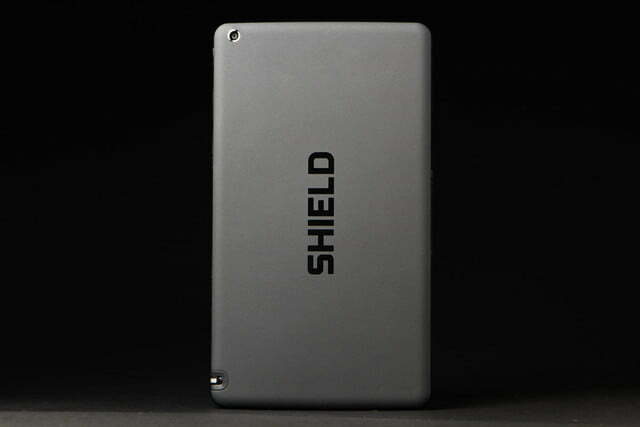 This magnetic tablet cover will keep your Shield’s screen safe from scratches. Want to keep gaming and streaming longer? Just plug your Shield tablet into this massive power bank for a full recharge. The left-hand side of the device has two gaps spaced widely apart that are actually magnetic ports into which Nvidia’s nifty proprietary case slides. The attraction between the case and these magnets is very strong, so you won’t have to worry about it falling off all the time. There’s the standard power button and volume rocker on the side too, but the buttons are flimsy and almost completely flush against the side of the device. I felt like I had to really jam them into the tablet to get a response. This made taking screenshots a living hell. You’re welcome. 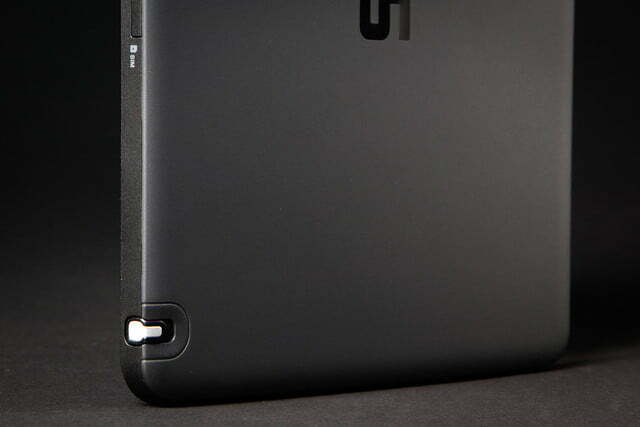 In terms of looks, the Shield Tablet is basic black and totally plain. 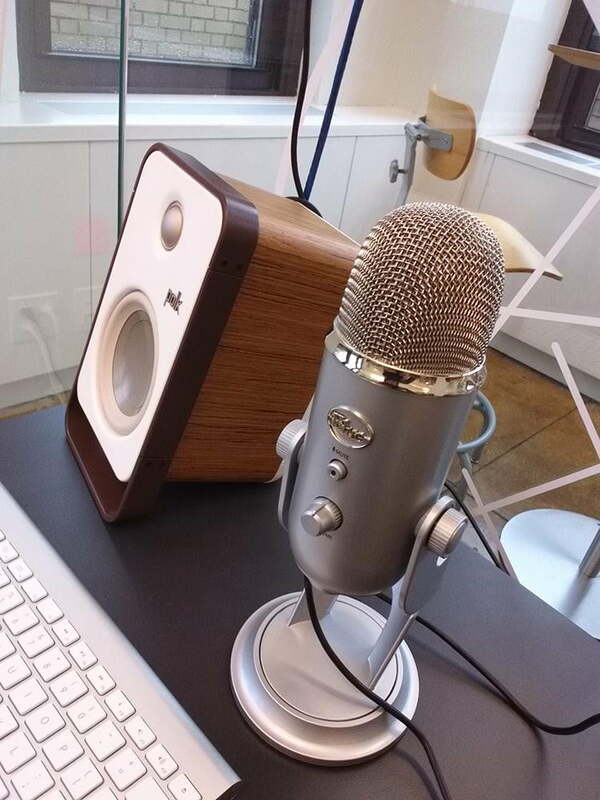 There are two speakers on the front, along with a camera, and that’s it. 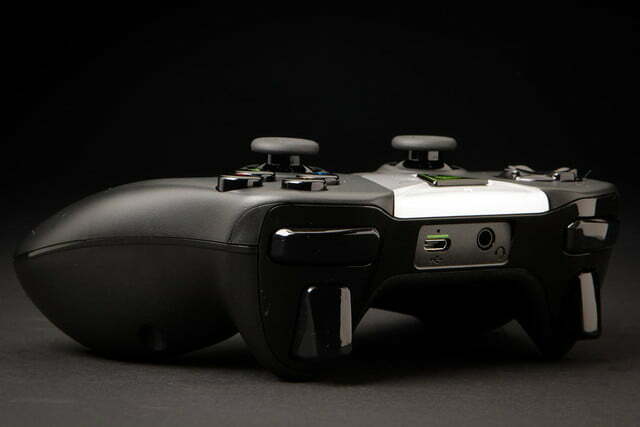 The back is matte and rubbery, which gives it good grip when you’re gaming, watching shows, or reading. 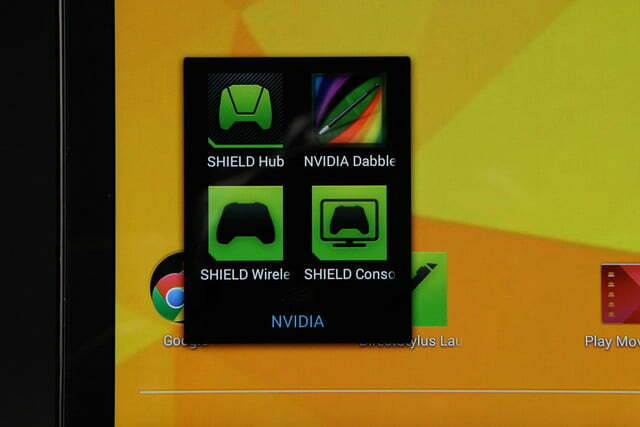 In case you didn’t know what tablet you’re holding, Nvidia placed the word “Shield” on the back in shiny letters. 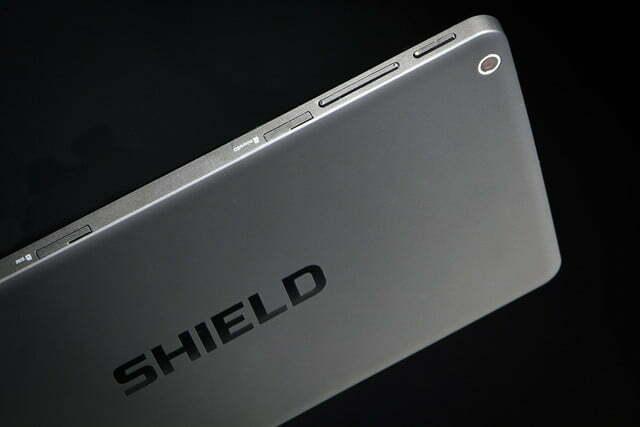 The Shield Tablet hits the sweet spot with its perfectly sized, 8-inch, 1,920 × 1,200 Full HD screen. It’s strange that Nvidia didn’t put a Quad HD screen on the ultimate gaming tablet, but 1080p will satisfy most folks — and it won’t drain the battery as much. We watched an episode of the show Vikings, and every detail of Ragnar Lothbrok’s elaborate braids was clearly visible. 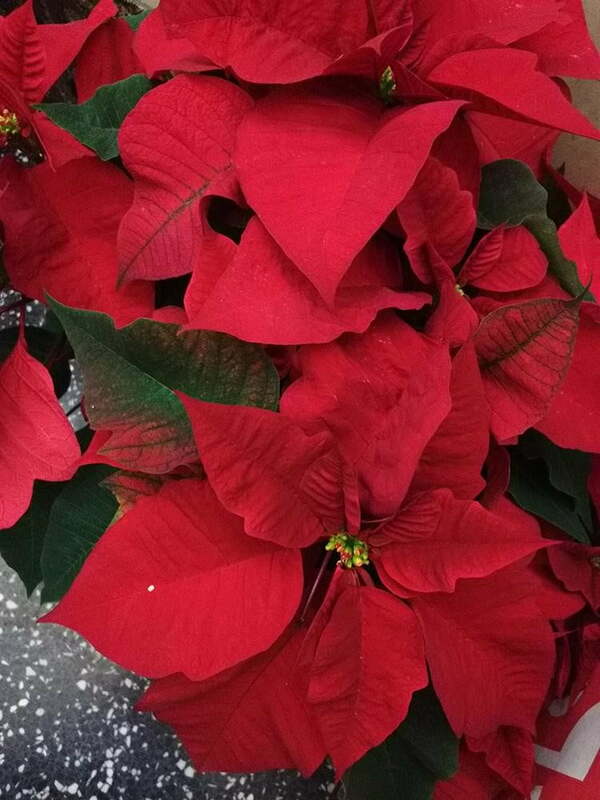 Colors appeared true to life as well. 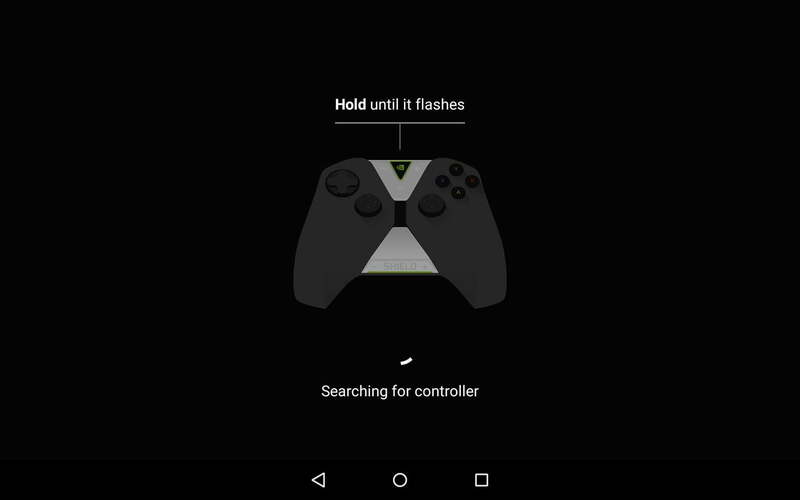 You can also connect the Shield tablet to a 4K monitor or TV to play games in super high-resolution, if the 1080p tablet screen disappoints you. 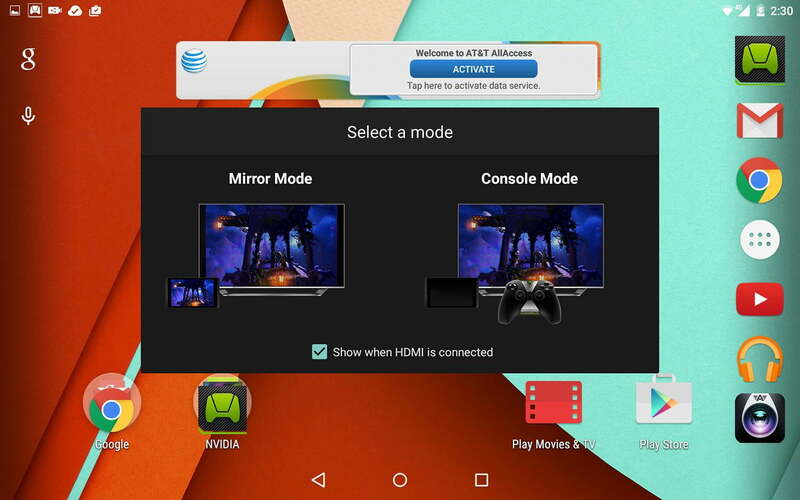 The Nvidia Shield Tablet is one of the few Android devices that already has the update to Android 5.0 Lollipop. Lollipop looks just as nice here as it does on the Nexus 9. Nvidia doesn’t clutter up Google’s Android with its own skin, but the company did add a few apps, all of which have to do with gaming. If you’re not a gamer, none will be useful to you — but luckily, there are only a handful. The Shield Tablet starts off with just 16GB of storage, which seems especially measly, considering all the games and videos most users will download on it. 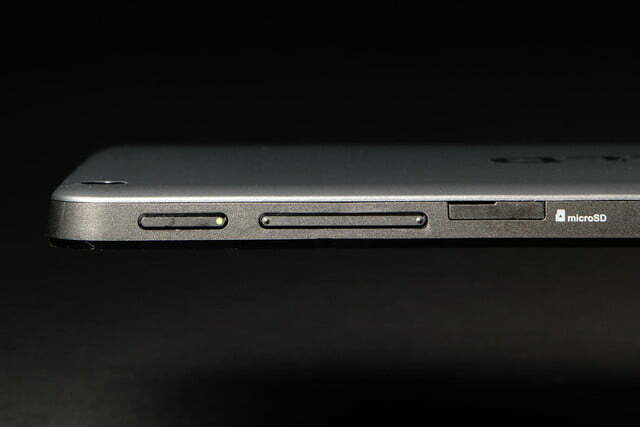 Luckily, the MicroSD card slot makes up for the limited storage options. Nvidia didn’t skimp on processing power when it made the Shield Tablet, and its Tegra K1 processor, Kepler graphics chip, and 2GB of RAM make this one of the most powerful tablets around. The Nexus 9 has the same processor and amount of RAM, so the two tablets are evenly matched in that regard. 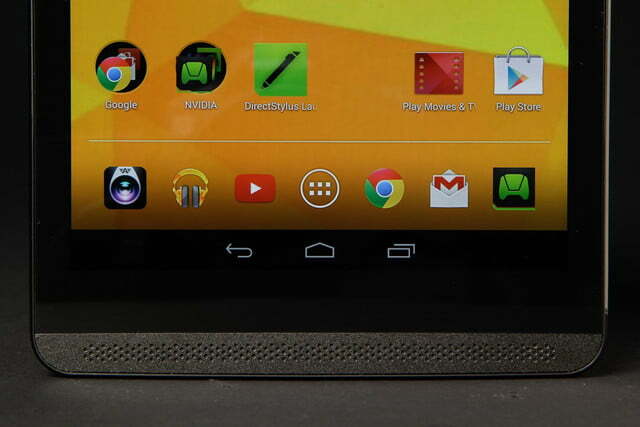 We found both Tegra-powered tablets superfast at average, everyday tasks. Videos and apps loaded smoothly too. 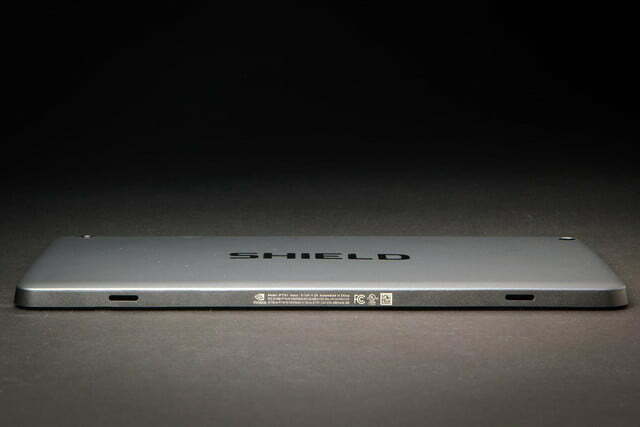 The Shield Tablet hits the sweet spot with its perfectly sized, 8-inch, 1,920 × 1,200 Full HD screen. 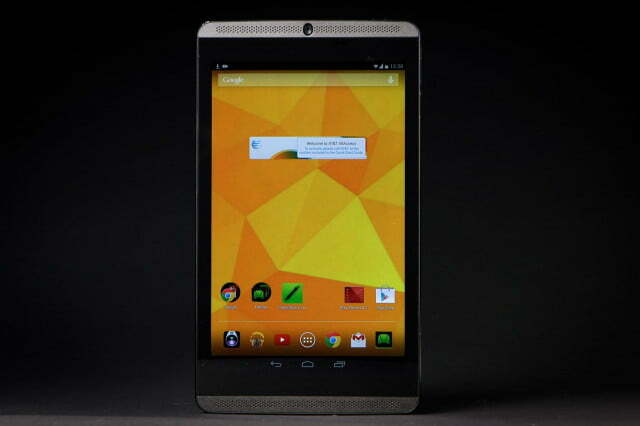 In benchmark tests, however, the Shield Tablet blew away the competition. When we first benchmarked the tablet with the Quadrant test, it was running Android KitKat, and pulled off an average, albeit strong score of 17,365. However, once we updated to Android 5.0 Lollipop, it scored a whopping 341,023 on the same test. That result outstrips the Nexus 9’s 13,267, the Samsung Galaxy Tab S 10.5’s 19,900, and the Sony Xperia Z2 Tablet’s 18,100 points by a long shot. Although the software update unlocks Open GL ES 3.1 and the Android Extension Pack (AEP), which supposedly amplify mobile graphics to reach the level of console and desktop PC graphics, it seems unlikely that the performance would improve by 2,000 percent. 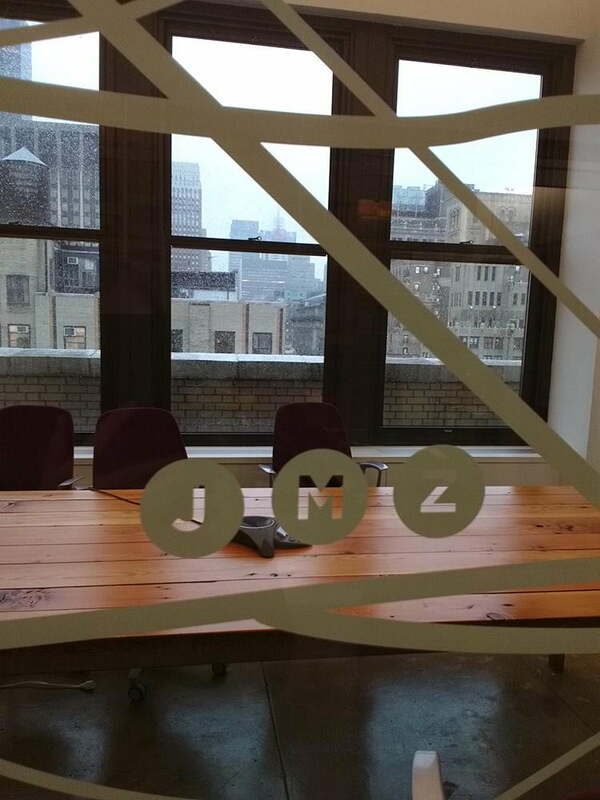 We’ve reached out to Google and Aurora – the company behind the Quandrant benchmark test – to find out more details. We’l update this review once we get a response. The Shield Tablet managed 27,920 points in the 3D Mark Ice Storm Extreme test, while the iPad Air 2 just barely broke 20,000. The Nexus 9 managed to score 25,158 on the same test, which comes close to the Shield’s score. 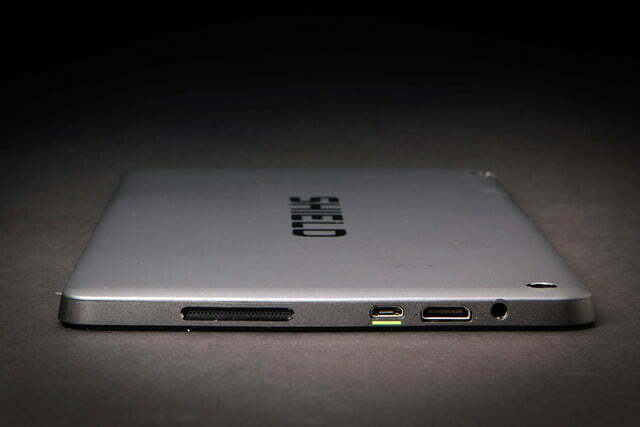 Surprisingly enough, Nvidia gave the Shield Tablet two 5-megapixel cameras: one on the front, and the other on the back. 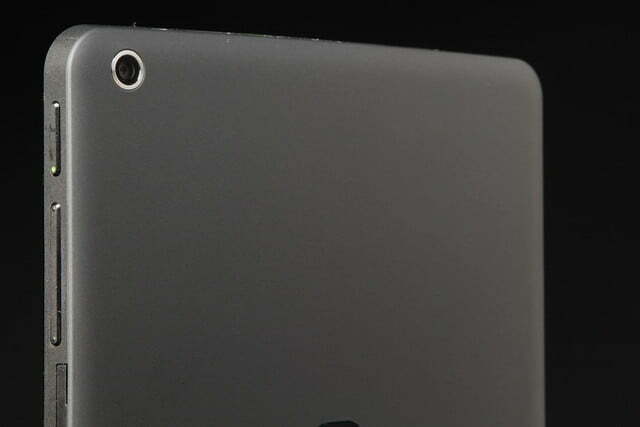 The back camera takes average photos, but that’s typical for a tablet. The tap-to-focus feature was touchy and would occasionally lock focus. 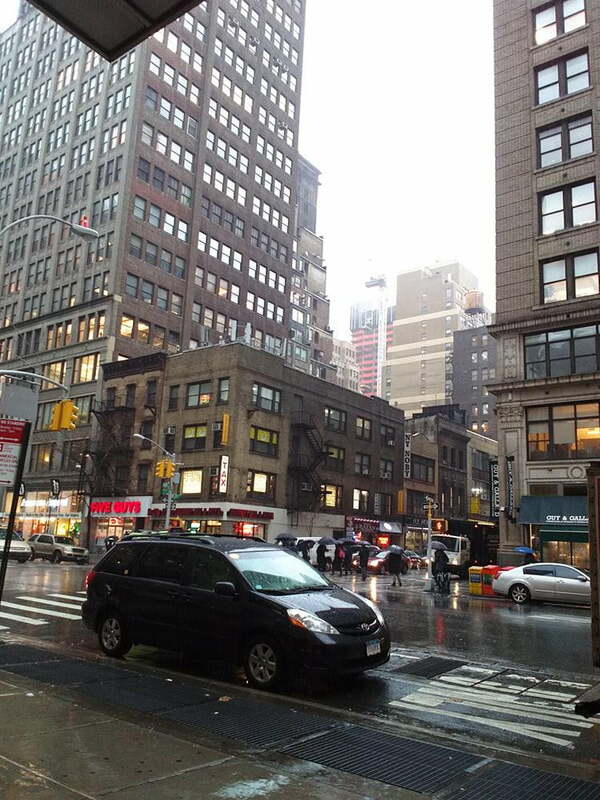 Like most cameras, the Shield Tablet’s had trouble dealing with mixed light and overexposed a misty Empire State building on a particularly rainy day in NYC. It captured details well, though and colors seemed mostly true to life. The front-facing camera is incredibly sharp, especially by tablet standards. 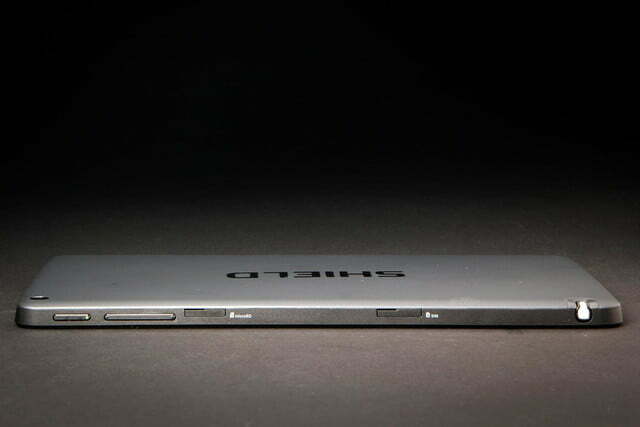 If you like to Skype and video chat with friends, the 5-megapixel front camera will serve you well. Otherwise, it’s a nice but useless addition. 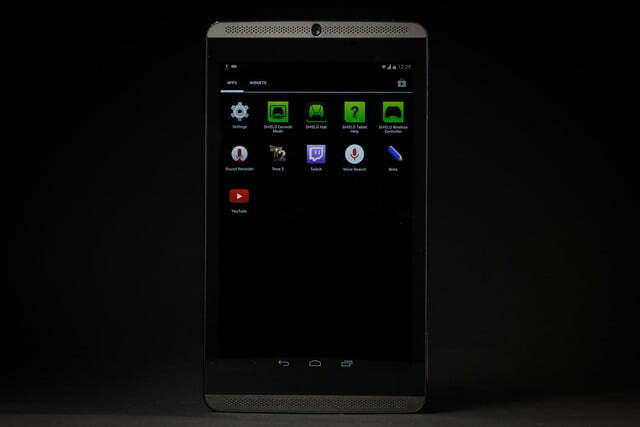 Nvidia’s Shield Tablet gets the standard 10 hours of battery life when you use it like a normal tablet. The battery taps out after 6 hours at most when you’re gaming. It easily lasted through a day and a half of Web browsing and light video streaming. However, Nvidia admits that the tablet’s battery life takes a huge hit when you’re gaming — especially if you’re playing heavy-duty games, where the battery taps out after 6 hours at most. Still, that’s not too shabby for a tablet. 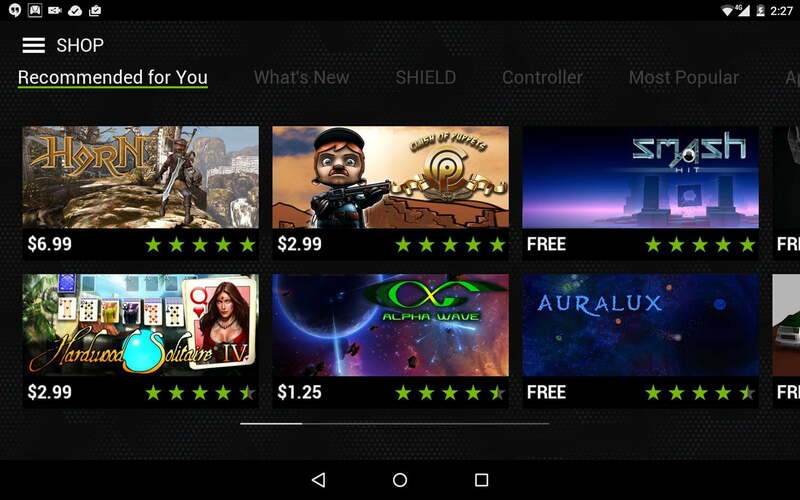 The Nvidia Shield Tablet boasts high-end specs and incomparable gaming features. 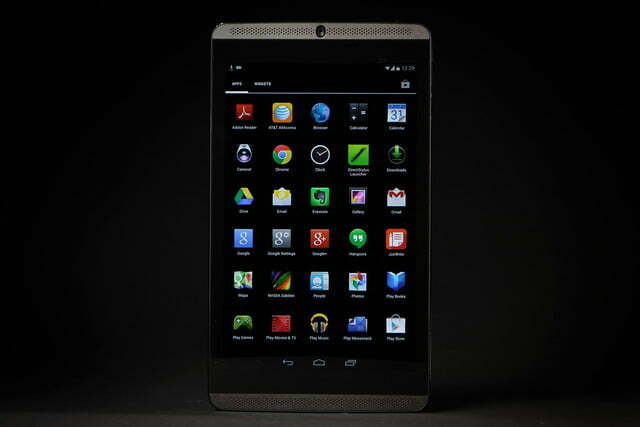 It’s a rare thing to find an Android tablet this powerful, especially one that’s just 8 inches big. 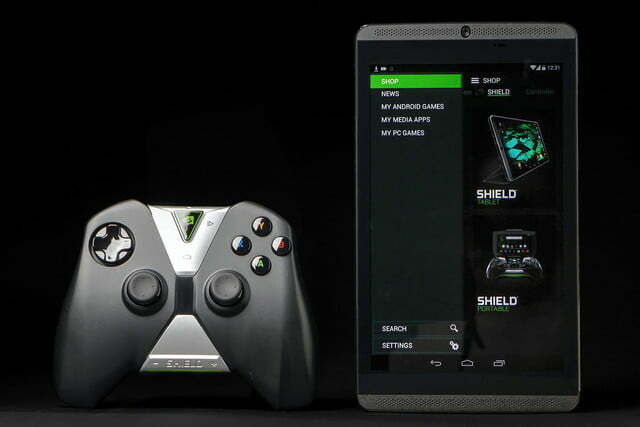 Nvidia also priced the Shield Tablet at just $300, $100 less than Google’s Nexus 9. With the Shield Tablet, you get a thickset tablet that’s sturdier and has a slightly less high-resolution screen. However, it’s got the same powerful processor. The Shield Tablet also has cool gaming capabilities, but you’ll have to buy a $60 controller to take full advantage of it. There are tradeoffs, but if you’re a gamer, it’s definitely your best bet. Average tablet users who don’t play games — and who prioritize portability and design above all else — would do better with the Nexus 9 or Samsung’s Galaxy Tab S 8.4. 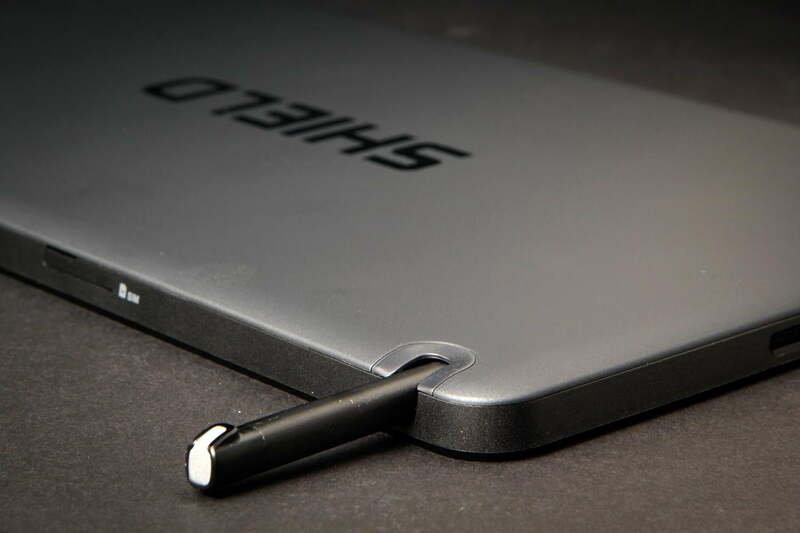 Both of these tablets offer sharper screens, slimmer builds, and sleeker designs.